Stem cells which are usually extracted from the cord blood taken from the newborn baby, can be mainly classified into three major types. Even though they are classified as embryonic stem cells, induced pluripotent stem cells and the adult stem cells. The latter is considered to be the most important variant because of the functions it performs in treating the major problems related to the organs in the body. Also they are found to present in particular organs of the body. 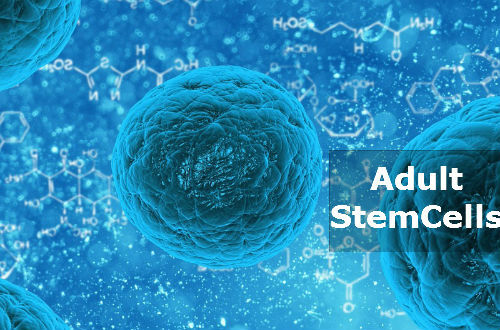 In this article, we will have a detailed explanatory about the Adult Stem Cells. In case if you want to get an idea about stem cells, read our article (Read: What is a Stem Cell?). An adult stem cell is usually found in the organs of the body and are capable of forming any type of tissues or the cells for the organs in the body. Hence, physicians call them undifferentiated cells which are present among all the different cells in a tissue of an organ. It has the capability of rejuvenating itself and they carry the main responsibility of identifying and curing the damaged tissues in that particular organ. These adult stem cells have also gained the name of somatic stem cells. The adult stem cells can be found in any part of the body,especially in any organ in the body including the kidney, liver, heart and bones. They are said to be living in a specific area in each of the tissues which is commonly called the stem cell niche. In recent times, facts have revealed some pericytes are also found among its varieties covering the outer layer of the small blood vessels. The major characteristic of these stem cells are they do not get separated from each other unless there is a need for forming the new cells in a tissue or the injuries that has occurred on the tissue layer. They are also used for treating severe syndromes like the diabetes of type 1 and the heart attack problems. Labeling: In this process, the cells in a tissue are marked with molecular markers and are allowed to generate the specialized cells. With the help of the generated cells, it can be easy to identify these cells. Removal: In this scenario, some cells from an animal is extracted and are transplanted into some other animal to check whether these transplanted cells start producing new cells. This is also a common practice used to identify the adult stem cells. It should be clearly explained by the researchers, that a single adult stem cell is capable of producing n number of genetically identical new cells. This can then produce new variants of cells depending on the layer of the tissue. To confirm the above scenario, experiments were carried out with the animals proving that the new cells have the capability to repopulate with each other. It is also capable of producing differentiated cells. The astonishing feature of these adult stem cells are usually develop into new cells of their own variant. After that it will have the capability of transforming themselves into new ones based on the tissues. They usually give rise to all the varieties of the blood cells in the body including the RBC’s, WBC’s, lymphocytes , neutrophils, eosinophils, T killer cells etc. These type of cells are commonly found in many tissues, if reports are to be believed. The cells which arises from the bone marrow gives a rise to all the other varieties of cell types. Especially the bone cells, the cartilage cells, the fat cells and the stromal cells. These are mainly helps in the formation of the blood. There is still a dilemma about how the mesenchymal cells either similar or dissimilar are derived from the bone marrow. These type of stem cells are usually found in the brain and capable of producing the neurons and the astrocytes and oligodendrocytes. Epithelial stem cells are one of the categories of the adult stem cells found in the digestive system. It usually helps in the formation of new cells in those layers. The layers are namely the paneth cells, goblet cells and absorptive cells. Skin stem cells are usually found on the epidermal layer of the skin found at the follicles. Several researches and experiments has evolved to a conclusion that certain variants of adult stem cell types are capable of transforming themselves into a different variant. These variants are happening after developing as the new cell of the same variant. For example, the capability of the stem cells in the brain which can entirely transform itself into a new cell having the capabilities and characteristics of the cells present in the cardiac muscle layer.